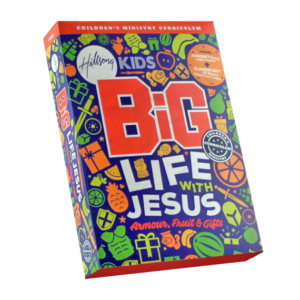 Hillsong Kids BiG is a complete, all-inclusive Children’s Ministry Curriculum, presenting Christ-centered, Bible-based teaching that is relevant to practical living and empowers children to lead and impact in every sphere of life. We want children to lead big expansive lives, grow up to be big people that lead and influence in every area of their big lives, believing in a big God and making a big difference. 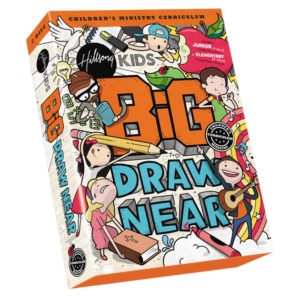 Why should you use Hillsong Kids BiG Curriculum? 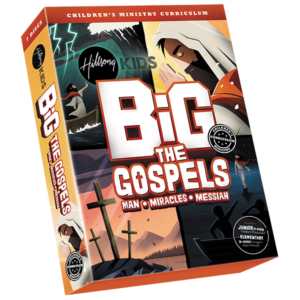 Each lesson is packed full of bible based teaching and gives children tools to apply what they learn to their everyday life. 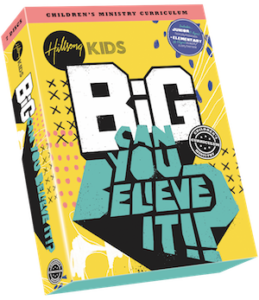 Hillsong Kids BiG can be used in a variety of children’s ministry settings, Weekend Church services, outreach programs, midweek services, school Holiday programs or VBS. Just choose what elements you want to include in your program, to make it work with your service and children. 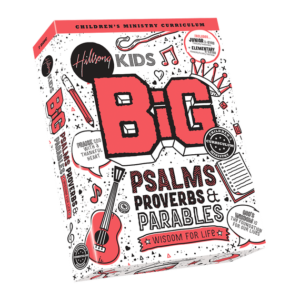 And BiG can be used in a children’s ministry of any size. 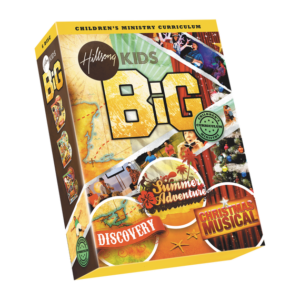 BIG is affordable and cost effective for every church and children’s ministry. It’s loaded with value and lots of added extras for your ministry. You’ll save money on printed material because with the BiG Curriculum you only print what you need. If you can work a DVD player or watch videos on You Tube, you can use BiG. It features user friendly DVD menus and easy to read leader guides. It is simple to use and easy to understand for both you and your leaders. Even I can do it! 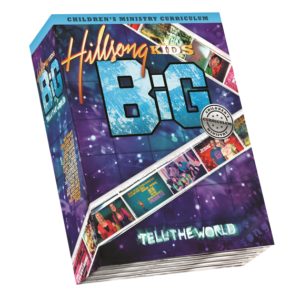 Hillsong Kids BiG is filmed and produced using state of the art production and creative programming. Every element is outstanding and your children and leaders will love it. Church is to be enjoyed not endured and with Hillsong Kids BiG you’ll have children coming back for more because they will love it! Can You Believe It!? all about teaching our common foundational beliefs as followers of Christ. Christmas, Easter and Special Days (Fathers Day, Mothers Day and Communion). Wisdom for Life! 9 Weeks looking at the wisdom teaching in the Bible. The book of Psalms, Proverbs and the Parables of Jesus. The Armour of God, Fruit of the Spirit and Spiritual Gifts! 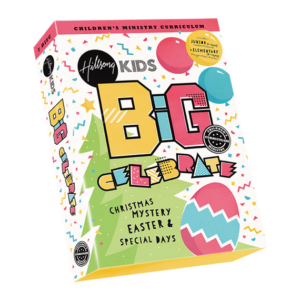 Classic children's ministry themes for a new generation! God worked through unexpected people in incredible ways. A look at 9 heroes throughout the Bible. 9 Weeks helping kids to renew their minds, guard their heart and serve the Lord with gladness. See your kids thrive as they grow and develop. 9 weeks talking about 1 Corinthians 13:13 The three most important things to have are faith, hope and love. But the greatest of them is love. Purchase all 5 nine week curriculum series' in one package. That's 12 months of lessons to use in your children's ministry, kids club, school or wherever kids are! Evangelism! 13 Weeks: Tell the World - God Loves You, Jesus Lives and I'm Not Ashamed of the Gospel. Discipleship! Devoted to Prayer, Devoted to His Word and Devoted to His House. Building life-long followers of Jesus Christ. Worship! 13 Weeks discovering Extreme Living, Passionate Worship and World Wide Worship Realise the purpose you were created for, a life lived in worship. Christmas Musical: follow the Wise Men as they followed the star. Discovery: the basics of Christianity. Summer Adventure: choosing to live a life that honours God. Purchase all 4, 3 month curriculum series' in one package. That's 12 months of lessons to use in your children's ministry, kids club, school or wherever kids are! Watch our user guide training videos that will teach anyone how to use the Kids BiG Curriculum! Here are some of the most common questions we are asked about the Kids BiG Curriculum. We have been very fortunate to receive overwhelming feedback about our Kids BiG Curriculum and we’d love to hear from you. To add your testimony, or to send us feedback, please email us!